Fast & Affordable Disposal of All Your Junk. Call Now for an Amazing Rubbish Removal Service! 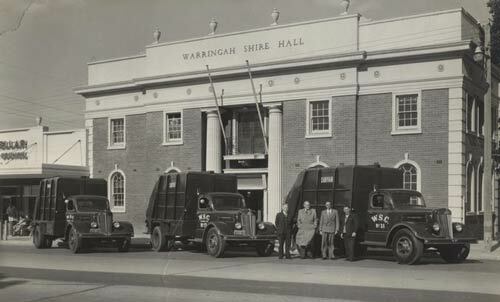 Although the Council of Warringah doesn’t exist anymore, Warringah is still a well-known Sydney region to many. Now a part of the Northern Beaches Council, Warringah covers areas that are quite a while away from the beach! With over 140,000 residents, if it were a city, it would be the 17th largest in Australia. For a Sydney area, the population is spread over a fairly large area, and being up on the North side of Sydney, residents sometimes miss out on some of the great services Sydney has to offer. With this many people though, there is bound to be a lot of rubbish produced – and there is – so our team often find ourselves taking junk away from homes up this way. With local teams and trucks in multiple locations across Sydney, we’re never too far away, and offer our great service to all areas. Call us for the fastest, cheapest and easiest rubbish removal service. There are so many reasons that you should choose Same-Day Rubbish Removal for your home or business cleanup in Warringah. There are the obvious reasons, including us being the cheapest as well as being able to come whenever you want. There is also the fact that we make rubbish removal so easy – you don’t have to do any lifting, just tell us what to take and it will be gone! No broken backs for you. However, one of the main reasons that we believe you should have us do your junk removal is that we will make sure it is disposed of responsibly and not just sent straight to landfill. We’ve seen how much junk Sydney residents are producing and the effects it can have on the environment, we’ve also learned some crazy statistics from programs such as the ABC’s War On Waste which have inspired us to be even more careful with how we operate the business and live our lives. When you have us take your junk away, you can be sure that we’ll take every care to make sure that if possible, it is recycled. We wish rubbish removal wasn’t a thing, but since it is a necessary service we want to do it right. Warringah isn't the Only Lucky Area! It doesn’t matter what type of junk you have, our team will be able to take it away no worries and we’ll make sure it goes to the right place if it can be recycled. Common items we collect from the Warringah area include old furniture like couches, lounges, tables and cabinets, whitegoods like washing machines, dryers, fridges and freezers, and general waste from building sites and home renovations. If you’ve got any of these things, or anything else, we can help! We also service areas outside Warringah – wherever you are in Sydney, from Cronulla in the South-East, Auburn in Western Sydney, to Penrith in the North-West, we’ve got a team ready to come to you. Don’t wait any longer to get your place looking as it should, call our friendly team on 0402 737 046 for a free quote!